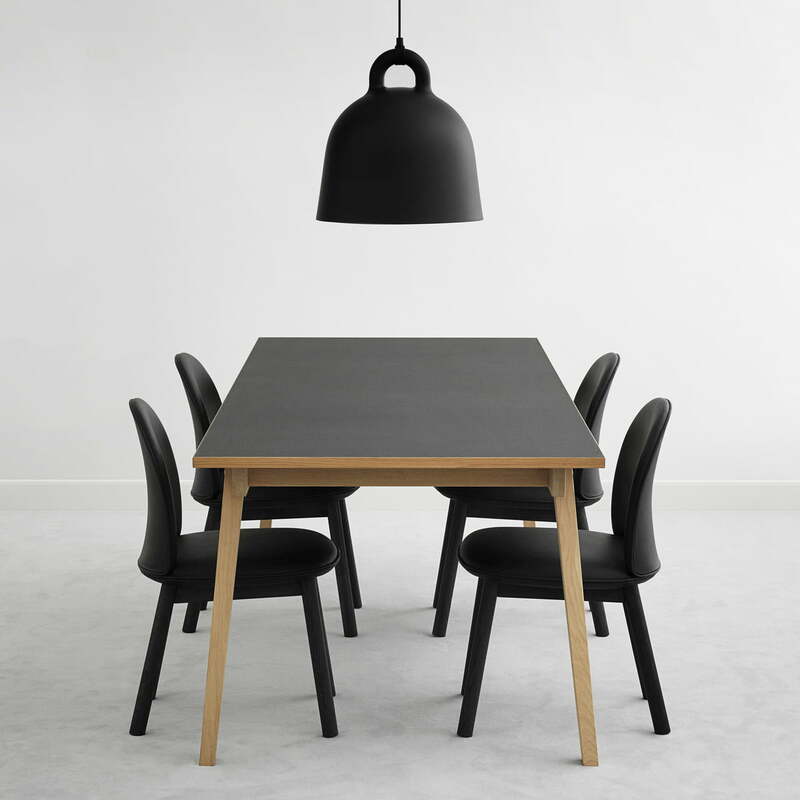 Particularly handy: Thanks to the clearly structured legs, chairs cannot only be placed on the table’s side, but also at both ends, so that on the Slice table, depending on the seating (with or without armrests) up to 8 persons can take a seat. 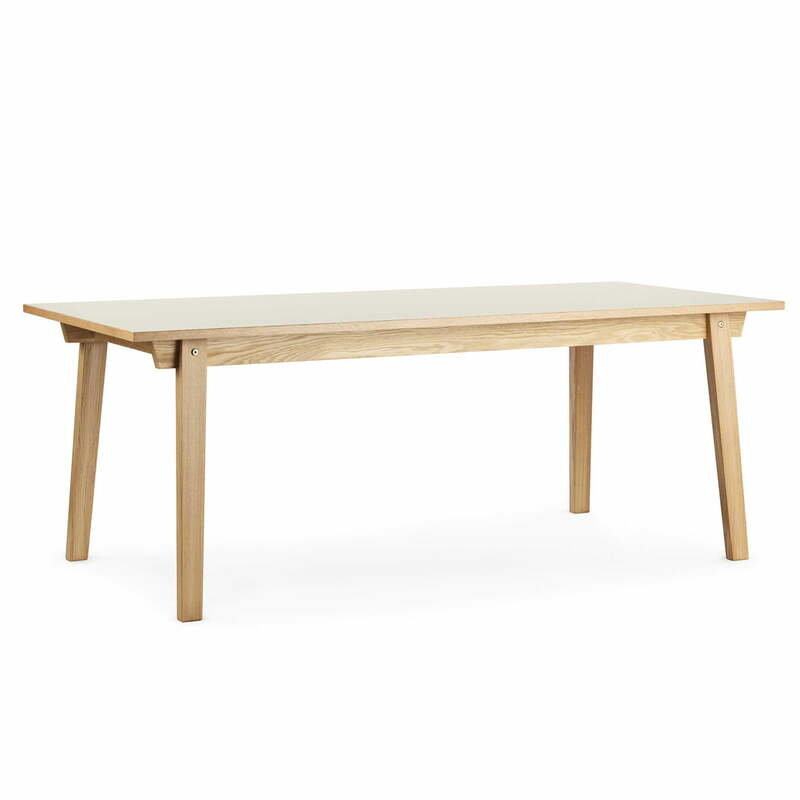 The Slice Table linoleum 90 x 200 cm by Hans Toft Hornemann for Normann Copenhagen features a four-legged frame in solid oak and a tabletop made of linoleum in cream. 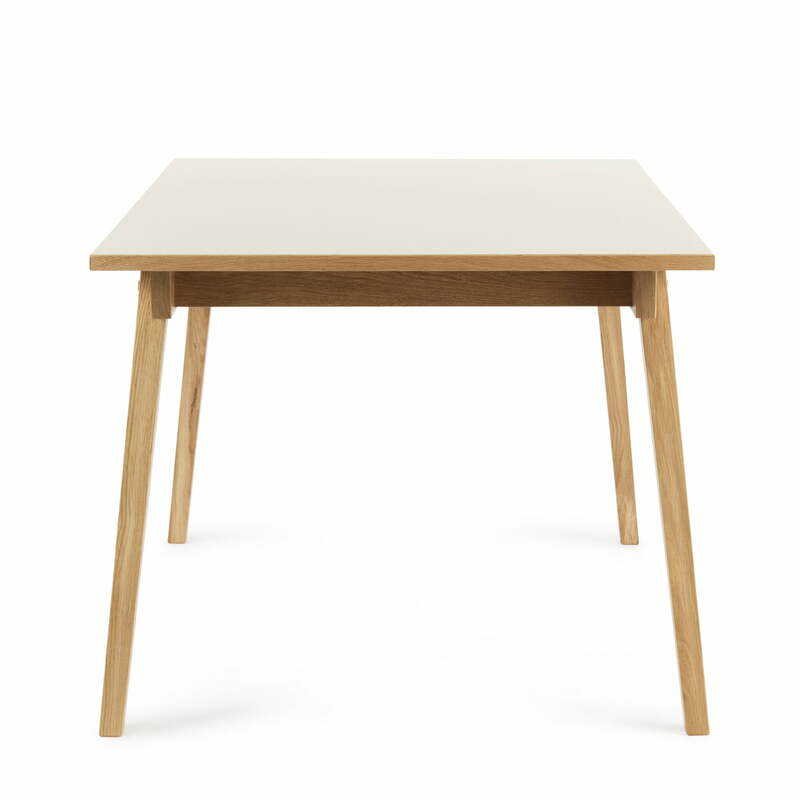 Side view of the Slice Table Linoleum 90 x 200 cm by Normann Copenhagen in cream. 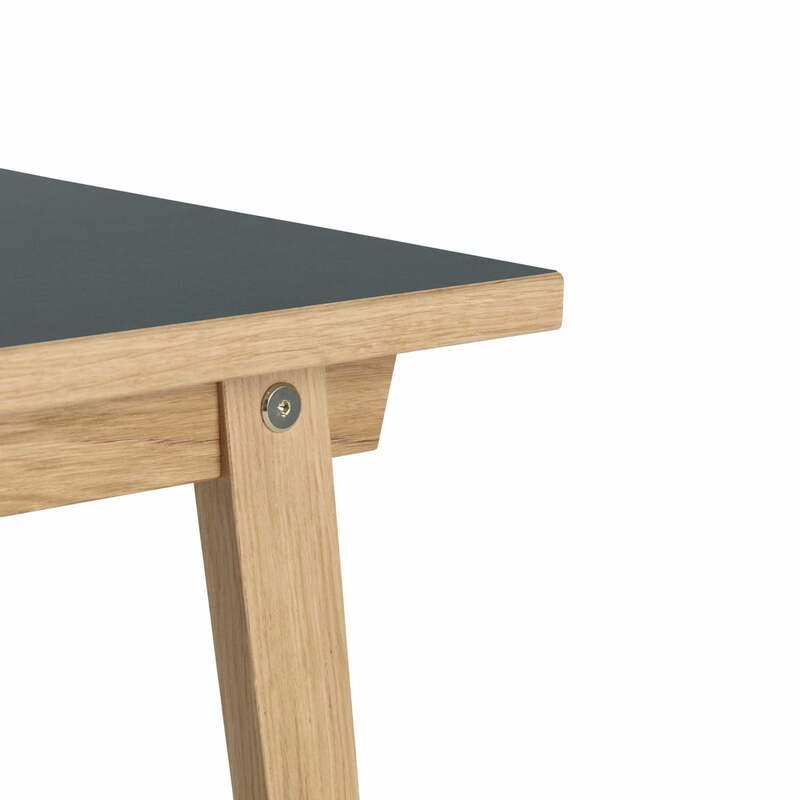 Linoleum is a natural product and is known for its antibacterial properties and has a pleasant feel.